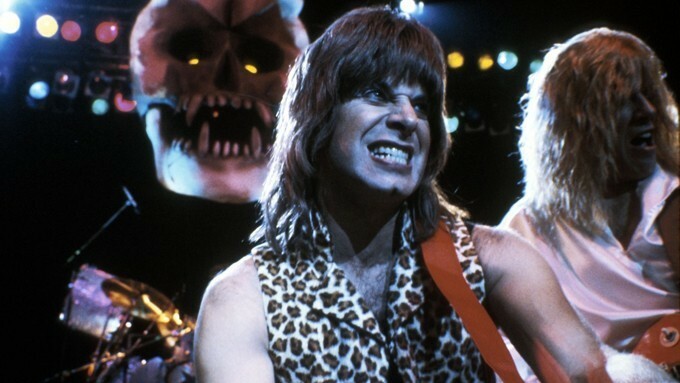 So, technically Nigel Tufnel Day was November 11th, 2011, but I still celebrate it yearly. Don’t you? Filmmaker Marty DiBergi (Rob Reiner, A Few Good Men, Shock and Awe) has been a fan of the legendary rock band Spinal Tap for many years, and when word of a new concert tour in preparation for their new album release, Smell the Glove, DiBergi had to be a part of it. Formed by childhood pals Nigel Tufnel (Christopher Guest, Waiting for Guffman, Night at the Museum: Battle of the Smithsonian) and David St. Hubbins (Michael McKean, Batman: The Dark Knight Returns Part 2, TV’s Better Call Saul), Spinal Tap quickly became whole with the additions of Derek Smalls (Harry Shearer, Father Figures, TV’s The Simpsons), Viv Savage, and Mick Shrimpton. Now, DiBergi is getting an inside look at one of the most outlandish and insane rock groups in music history. 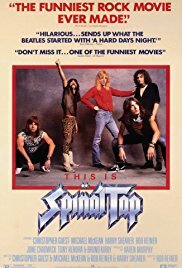 This Is Spinal Tap is one of the earliest mockumentaries in history, and it’s also one of the absolute best. Director Rob Reiner put forth the effort to make the band look and feel as realistic as possible, to the point where viewers, and even rock stars (Ozzy Osborne, The Edge), thought the band was real. I thought it myself the first time I’d seen the film, and it took me most of the movie before I started to realize what was going on. Mockumentaries are a lot more common place today thanks to The Office, but back then, nobody really put it together. Part of what makes the spoof so real is the careful attention to detail and taking real rock events, characters, and details, many of which are a part of legend, and turning them upside down. There are little in-jokes and parodies of many songs and events in the film, so much so that some musicians thought they were being personally called out and made fun of (Aerosmith thought some of the humor in the film was at their expense). The reason this film works is love for the music and the performers that make it. The best running gag in the film is the replacement of drummers, something many bands have gone through (and something writer J.K. Rowling would use in her Harry Potter novels by constantly replacing the Defense Against the Dark Arts teacher, a nod to Spinal Tap). 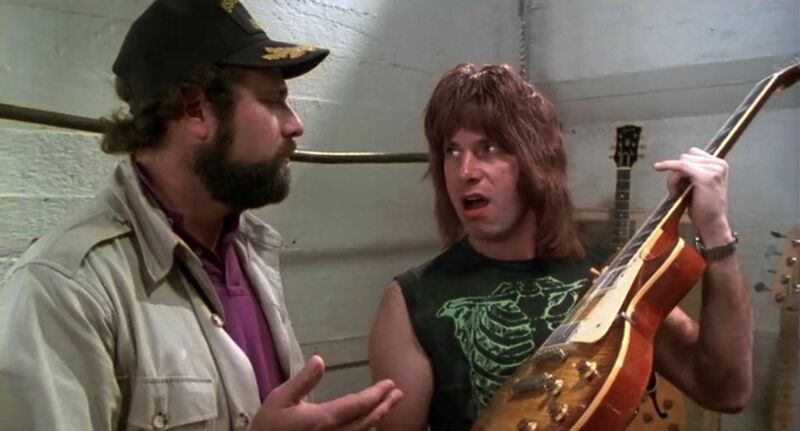 This is Spinal Tap is a classic of its era and also an endlessly re-watchable experience. I myself pop it in on a yearly basis. It’s quotable, laugh-out-loud funny, and a beautiful ode to the rock stars who have influenced, inspired, and above all, entertained fans for decades. It deserves a grade all of its own.